The feedback from my OBS interview has exposed me to a couple of blogs that are well worth a mention. "Greetings fellow outdoor fanatics and welcome to the Maine Outdoorsman Blog. I started this blog as a way to share some of my favorite hunting, fishing and outdoor experiences with the general public. My goal for this endeavor, is to work to improve my writing skills so positive comments and suggestions are much appreciated. With that said please sit back, make yourselves comfortable and join me in conversing about a few of my favorite outdoor memories." "When you are in a position to indulge in it, hunting is one of the activities that can provide both a great deal of physical activity and bragging rights, not to mention an impressive amount meat and a truly epic trophy at the end." A little while ago the three ring circus that is the clan de la bushwacker were driving through the leafy lanes of Kent. As we entered a village I implored Mrs SBW to pull over. Bushwacker Jnr. 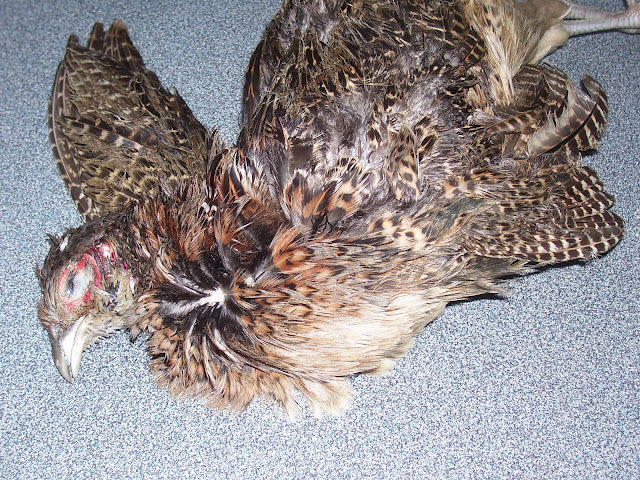 and yours truly ran back down the road and recovered this delicious hen pheasant that had recently meet its demise at a passing vehicle's wheel and had not been there long. How do I know it was safe to eat? 1. It was about 11am and reasonably sunny - her blood was fresh and no flies had gathered. 2.It was about 11am and she was still there, if she'd died during the previous evening a fox would have had her during the first available cover of darkness. 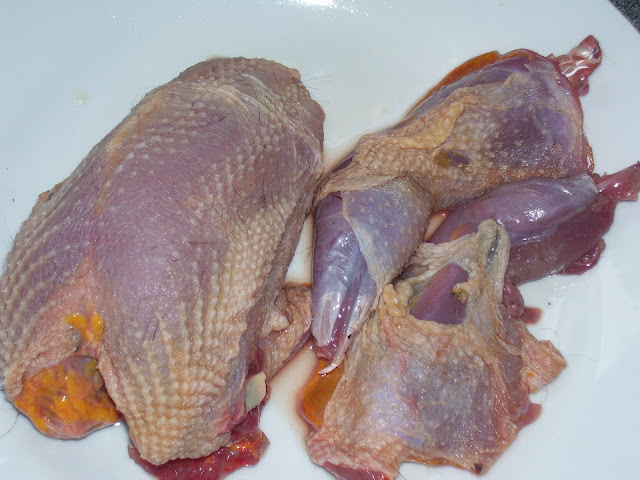 3.Hung game has a strong smell and is still completely safe to eat. This one had hardly any smell. At the butchers shop/game dealer you can buy a nice plucked pheasant (looking a lot like the one pictured bellow) that was shot on a shoot near by, it then sat around in a field for a few hours before being taken to the chilled game larder where it resided until at least the next day, when it continued its journey to the butcher/game dealer, where it sat in the chiller until it was plucked. Only then did it make it onto the shelf of the shop. We're talking £5.50 or eleven bucks from the butcher nearest my house, cheaper if you live out of town and up to a tenner if you live somewhere really swanky. Mine had probably been clipped by a passing car that morning, took ten minuets to pluck (it would be less with practice) cost me nothing, and I got a really cool bag of feathers to use later.Bushwacker jnr. and I tucked in after Mrs SBW came over all squeamish and pushed hers to the side of her plate.Sucker!